VPAID is Video Player Ad-Server Interface Definition whereas VAST stands for Video Ad Serving Template. While both VPAID & VAST are video ad standardization formats developed and implemented by IAB (Interactive Advertising Bureau), there are certain differences between these two developing technologies. • VPAID uses the .swf format whereas VAST uses .XML format. • VAST is treated just as a script and it consistently advises the video player on handling an ad i.e., the purpose of the ad, the behavior of the ad, duration etc. VPAID is an advanced version to VAST. VPAID adds another level to VAST i.e., interactivity. Interactivity plays a very important role in deciding the effectiveness of the video ad (tracking). VPAID is able to track the performance of the video ad. • VAST is just a common way of serving video ads in in-stream video formats. VPAID will be able to offer rich ad experience coupled with enhanced viewer analytics. VPAID definitely score more than VSAT on this issue. • VPAID has a facility to enable the video player to preload an ad unit before rendering it whereas VAST lacks this feature and it is a serious lapse on the part of VAST. • VPAID through its API is able to increase complexity in video advertising and this enables video players to accept more ads. This offers more value to advertisers and publishers. VAST, on the other hand, is able to provide uniform way data transmission from ad server to video players. 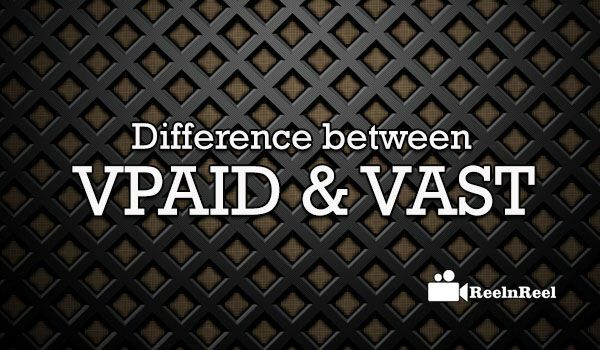 • VPAID helps in better communication between the video player and different ad services. VAST is a common language that helps the ad server to serve ads with an ease. VAST has the capability to ensure that ad is served irrespective of whether the ad is served via DFP, DCM, or any other ad server.